“The splendor and the divine love burn down to me, but it tempers to me, it purifies me, it sublimes and expands the heart to me, therefore that I would want to tighten in my small human arms all the creatures in order to carry them to God” (St. Luigi Orione 31.8. 1931). 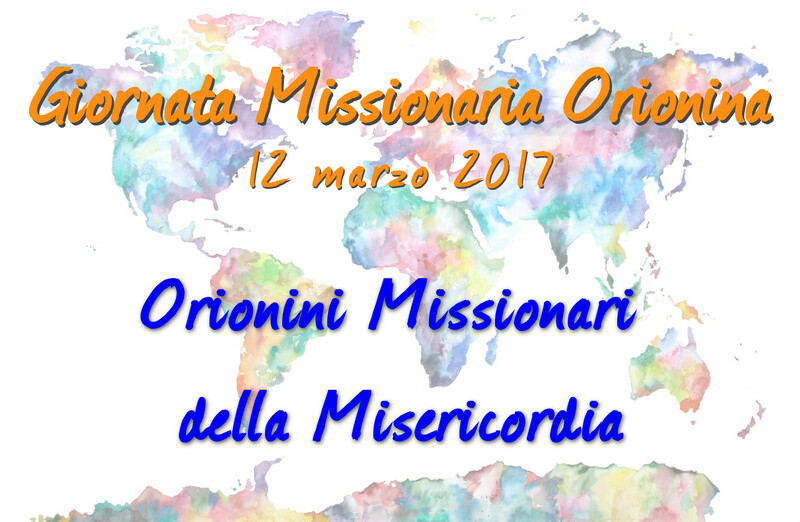 The introductory of St. Luigi Orione introduces us to the preparation of the Orionites Missionary Day. Wished from all the Orionites families (FDP, PSMC, ISO and MLO) and launched again in March of 2006, it has a triple objective. • For the OMD 2008 - Orionites Missionary Day 2008 - it is fixed for 9 th of March, the Sunday nearer to 12 th of March. It is 5 th Sunday of Lent, liturgical time that favors the penance and the prayer for the missions and the vocations of missionaries. It is also for the collection in order to realize of the Missionary Plans. 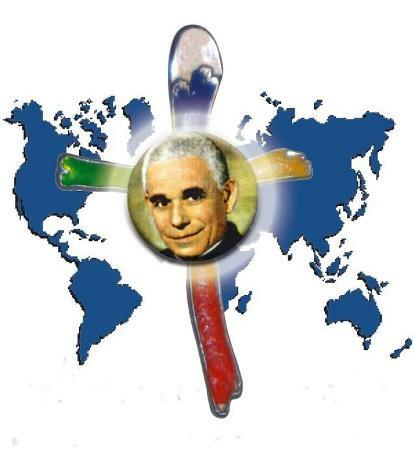 Although the OMD regards the single Sunday, it would be opportune, if it is convenient, to be organized for all Orionites Month of March in order to improve this missionary topic. • In tune with the topic of the last year: “To always love and to give to the life singing the love” and in communion with the Church and the World Missionary Day of 2007: “All the Churches all over the world”, we have chosen as a slogan for the topic: “Hearts without borders”. 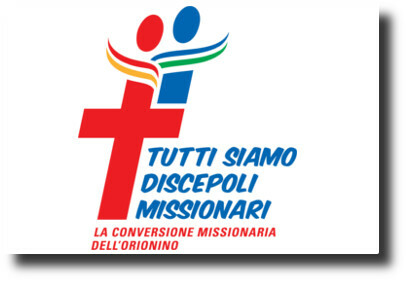 • In order to animate the Missionary Day, the General Secretariat in collaboration with the secretariats of the Italian Province is preparing the material, which it will make to arrive to each Province, within 15 th January, 2008 (manifest, vigil prayer, brochures and power point). Inside of the brochures, there will be two free pages because every Province inserts its information. We perceive since now that this material, in order to catch up its purpose, must be adapted to the various cultures and activities. • It will be convenient that every provincial superior writes one message in order to promote the Orionite Missionary Day and its own initiatives in every Province. • Also always maintaining to the character of WORLD ORIONITES MISSIONARY DAY the contribution of this year will go for the fixed purpose by each Province. With regard to the offered collections of the last year that were exceptionally destined to an only purpose: we want to give thanks to every province, community and to all those who has made to reach their offer in order to contribute to the construction of the Greater Seminary of the Notre Vice-Province Notre Dame D'Afrique . 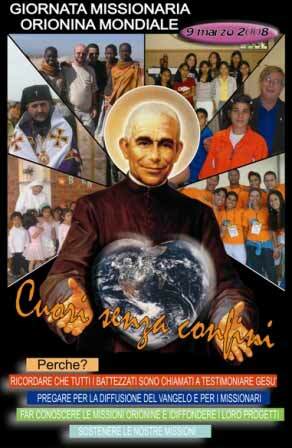 The first stone has been already blessed from Father Flavio Peloso on 26 May, 2007 and the construction already has begun. We thank from our heart for your prayers and interests for the Missionary Plans and, in special way for the collaborations in the missionary animations. We pray to our Lord because this beautiful initiative can go ahead, for being able to always consolidate more our presence in the religious communities and lay missionaries founded and animated from the Orionites. We would like to take this occasion in order to greet you, all the confreres and sisters, lay missionaries of your Province for Merry Christmas and a new full year of many and beautiful realizations.